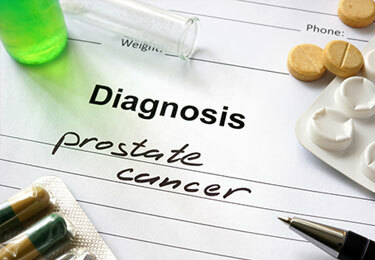 Home » Blog » What's Your Risk of Prostate Cancer? Age: Being over 50 years of age. Approximately 6 out of 10 cases of prostate cancer occur in men above the age of 65. Ethnicity: African American men have the highest susceptibility followed by Caucasian men and lastly Asian American and Latino/Hispanic men. Geography: More common in North America and most developed countries and less common in Asia and South America. Family History: The risk of developing prostate cancer doubles if a close relative has been diagnosed with the condition. Genetic Mutations: Certain genetic mutations such as the BRCA2 gene. Diet: Eating too much red meat and high fat dairy products, and too little of fruits and vegetables. Obesity: Being obese puts you at risk of developing advanced forms of prostate cancer that can be life threatening. Smoking: Research studies have established a link between increased smoking and the development of prostate cancer. Prostatitis: Inflammation of the prostate gland. Vasectomy: Having had a vasectomy slightly increases your risk of developing prostate cancer. Diet: Your diet plays a significant role in reducing your risk of developing prostate cancer. If you are overweight or obese, you must reduce your caloric intake while exercising more to lose the excess weight. Avoid too much of red meat and high-fat dairy products. Increase your intake for fruits and vegetables, especially red foods such as tomatoes and watermelon which contain lycopene (antioxidant). Eat more fish as studies suggest omega-3 fatty acids present in fish help protect against prostate cancer. Drinking green tea and regular coffee can reduce your risk. Avoiding Over-Supplementation with Vitamins and Calcium: Too much of vitamins such as folate may increase your susceptibility to prostate cancer. Some amount of calcium supplementation is good for your bones but try not to take more than 1500 mg per day. Regular Exercise: Walking, running, swimming, and bicycling are all simple exercises that can help keep your weight in check and reduce your risk of prostate cancer. Avoid Smoking and Excessive Drinking: In addition to the many negative consequences of smoking and drinking, they also increase your risk of developing prostate cancer. Treat Chronic Pre-Disposing Conditions: High blood pressure, elevated cholesterol levels, diabetes, and stress are conditions that should be treated to reduce your risk of prostate cancer. If you are an African American male above the age of 40 or have a family history of prostate cancer, or you are over 50 years old; a prostate exam and PSA test should be part of your routine annual physical checkup. The possibility of winning the battle against prostate cancer is much better when it is diagnosed and treated early.